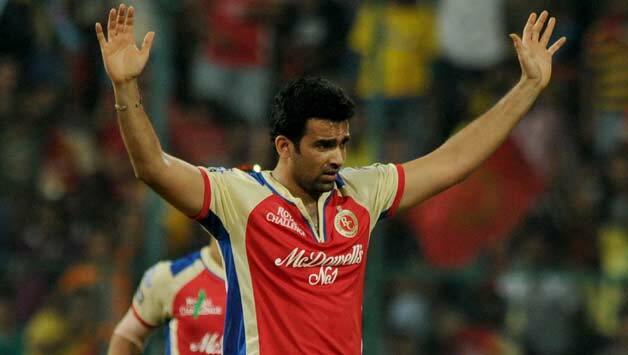 Zaheer Khan did excellently well as a mentor for young bowlers in the Delhi Daredevils team this season. Rahul Dravid has been recently announced as the coach for the Indian A teams and the U-19 teams. This is great news for the Indian cricket fans as Rahul Dravid is an international great and has been often mentioned as a great mentor for young cricket players. Ajinkya Rahane and Sanju Samson have spoken highly about Rahul during his time as Rajasthan Royals captain. Dravid also has great eye for talent as he has spotted players like Rahane, Lokesh Rahul and Samson as future international prospects way before they were picked for India. This is indeed as great move by BCCI after Rahul declined to be part of the advisory board which BCCI announced recently comprising of Sachin Tendulkar, Sourav Ganguly and VVS Laxman. The only negative I see about all this is that there has been no bowler in sight in any of these panels. The Indian team as we all know has always struggled with the bowling and batting has never been a huge concern in the long run. India always churns out good batsmen and the advisory board consisting of only batting greats is disturbing. It would have been great if BCCI had requested Javagal Srinath or Zaheer Khan to be part of the U-19 and Indian coaching team to mentor the young bowlers. Even though Zaheer hasn’t technically retired, it was seen that he was able to mentor young bowlers effectively in the IPL and looked like someone who could work with the U-19 bowlers and pass on some valuable tips. Zaheer and Srinath have been the best pace bowlers for Indian over the last 20 years and it will be great if the BCCI could use their expertise effectively. The advisory panel for the Indian team too needs a bowling component. If BCCI cannot find an Indian bowler to join the coaching or the advisory panel they should try and get an overseas coach. If India needs to become a force at the international level they need a good bowling unit. The current crop needs guidance and help which will be paramount for their development. Young bowlers like Sandeep Sharma need the required support and advice before they make the transition to the national side. The Indian bowlers like Mohd Shami, Umesh Yadav and Varun Aaron need to be groomed and be taken care. The BCCI has always ignored development of the bowlers and it is the same with the current advisory board. Even though this is a welcome change and a good initiative, it can be better. I hope that new advisory board recommends such initiatives for the bowlers. Rahul Dravid is a smart individual and I hope that he includes a good bowling coach/mentor for the u-19 and India A teams. The bowlers need to be developed at the grass roots level and need good guidance from someone who understands fast bowling. Rahul Dravid, Sachin Tendulkar, VVS Laxman and Sourav Ganguly can be great asset to the coaching staff but again I would have loved to see a bowling component to the team. BCCI should work with the greats and come up with a plan to help the bowlers. If India does not take care of the current crop we will once again end up losing these great talents and end up looking for new brigade as we have been doing over the last 15 years. Hope some sense prevails and we see some development towards this in the coming months. Another overseas tour comes to an end and the Indian bowlers come under the scanner as usual.The Indian bowlers struggled to get wickets and except for the first innings in Wanderers they struggled to bowl out South Africa. The Indian pacers took 18 wickets at an average of 47.94 and at a strike rate of 82.1. The biggest disappointment is the economy rate, SA batsmen scored at the rate of 3.50 against the Indian pacers. There were no 5 wicket hauls by the Indian pacers. This is a major cause of concern for the Indian team. Shami Ahmed was playing his first overseas tour but there is no such excuse for Zaheer and Ishant. The Indian team almost lost the first test trying to defend a humungous 458 in the 4th innings. The bowling lost its sting and looked completely clueless against the South African batting. Ishant Sharma is a major enigma in Indian cricket. The guy has played 50 test matches and still isn’t the bowler India wants him to be. It is strange that he continues to make it to the Indian team in spite of mediocre performances. He plays in the team only based on his experience but I guess time has come for India to look past Ishant as a test bowler. Zaheer Khan is on his last legs and agreed that he was coming back from a long break from cricket but lot was expected of the veteran fast bowler. Zaheer was expected to lead a young bowling attack in South Africa but he lost his steam after the first test. India needs a firing Zaheer if they have to groom the young fast men. It is good to see that Ishwar Pandey has been selected for the New Zealand tour and the selection of Varun Aaron for the ODI games is also a welcome move. The New Zealand tour gives India with an opportunity to play a completely new attack and test out these youngsters. Varun Aaron should play in the ODI team along with Bhuvneshwar Kumar and Shami Ahmed. India needs to play Umesh Yadav in the test team ahead of Ishant Sharma. India needs to find a way to give Ishwar Pandey few chances in the series and not just have him to carry drinks. This series gives them a great chance to test out some young bowlers and hope for couple of them to come through. India have a chopper block schedule this year and with IPL and Champions trophy thrown in India needs to make sure that their bowlers are fresh and fit for the 2015 world cup. Since India will be on the road throughout the year, it is going to be mentally and physically taxing for the bowlers and India needs to take care of that. This year also gives Dhoni and Fletcher ample opportunities to test some new bowling talent and India needs to rotate their bowlers to keep them fit and ready. New Zealand series is going to be an important one. Even though India did not win anything in South Africa, they showed fight and application which was rarely seen during the 8-0 whitewash in Australia/England in 2012. The young Indian team will be hoping to carry on with their good performance with the bat and will be hoping for the bowling to step up. This will be a good series and I hope that the Indian team can unearth couple of good bowlers for the future. The Indian test team has hit a road block and has pretty much gone downhill over the past year or so. In spite of the high of winning the world cup in 2011, the Indian team has for sure taken a step back in test cricket. The legends Sachin, Dravid and Laxman are at the cusp of retirement and we still havent got any replacement tested at this level. The big three have been great servants for the Indian team and with more than 35000 test runs and close to 100 centuries between them they have been one of the best players in the world. Replacing them is going to be hard task for the management. Let us look at some possible candidates for the middle order. Few months ago, the Indian team was at the top of the world. Number 1 test team, World cup winners and the captain Dhoni could do nothing wrong. One English tour later everything came crashing down. Even though India are still one of the top 3 teams in the world, the old quote “Tigers at home, paper tigers abroad” came to fore again. The English tour was an absolute disaster, an organization nightmare and the entire Indian cricket management needed to take the blame, not the cricketers alone. The biggest factor on the English tour was the sudden spate of injuries to key Indian players. In spite of majority of them missing the West Indies series for rest, most of them ended up injured during the important English tour. The lack of practice games were another reason as the team had no time to acclimatize to the conditions. It seems like the Indian selectors and management have learnt the lesson the hard way. This time the players are there sooner and will be playing two practice games and will have enough time to get used to the conditions. This tour is very important for the Dhoni and Fletcher combination. English tour scars still fresh in their minds, they will be keen to prove that the performance on that series was merely an aberration. The team this time is well prepared and most of the members are available for selection. Zaheer will be back to spearhead the attack, which is extremely important. The team management will be observing his fitness very closely as the English tour emphasized how important he is for the team. We have Ishant and Umesh to add to the pace department, literally speaking. Ishant too had a mild injury scare in the practice game but the team management has assured it wasn’t serious. Ashwin will lead the spin attack and the batting will be back to its full strength. India are coming into this tour with a good home season which started with blanking England 5-0 in a ODI series and winning the test and ODI series against the Windies. Even though the injuries to Praveen Kumar and Aaron are a great setback, the team needs to move on with whatever resources they have. As Dhoni said ahead of the series, lack of practice cannot be the excuse this time and he is absolutely right. A series win here will restore the confidence the team might have lost during the disastrous English tour. A reputation which was built brick by brick by the Sourav Ganguly team since 2000 of a fighting unit away from home is something Dhoni would like to restore. The seniors will once again be the key and the middle order of Dravid, Sachin and Laxman for one last time will be back battling the Aussies in their own den. A contest which has become a memorable battle since one of the greatest series in cricketing history took place in 2001. The series will be exciting and both teams have a lot to play for. The tour has already began on a good not with Dravid’s excellent speech in Bradman’s oration which was received with a standing ovation. The only thing Indian cricket fan would hope for is that India return with their first ever series win Down under. Dhoni and Fletcher know that this is their best chance and hopefully the team will click together to make that happen.